"Susan Petty was very attentive to my needs and developed solutions to meet my expectations. She was very good with follow up and updates. Everything went like clockwork for every step of the way. I was very impressed with her knowledge of the area and the process and she worked hard to make it a win-win for both the buyer and seller. I highly recommend Susan Petty for your future real estate needs!!" "Susan did a fantastic job as our sellers agent. She was knowledgeable and kept us well informed throughout the entire process. I would highly recommended Susan Petty if you’re considering buying or selling a home in the Gulf Shores area." "I feel Susan went above and beyond in helping to sell my home. She always kept me up to date and made suggestions of things I could do to make the home more appealing. Such as paint, which after I did this I had a cash offer within 2 days. She is friendly and professional and a pleasure to work with." 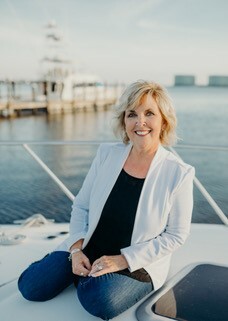 "We have worked with Susan Petty for 17 years on several purchases and sales of condos in Gulf Shores and Orange Beach. She is a delight to work with! Susan is professional, knowledgeable of the real estate market in the area, good communicator and extremely responsive. We would highly recommend that you choose Susan to be your real estate professional in the Gulf Shores/Orange Beach area." "Susan is there every step of the way guiding you and helping you out any way possible. When you have questions of any kind she will get a answer for you. She stays in contact with you so you always know what is going on. You can tell that Susan loves to help people’s dreams come true. I truly loved working with Susan she made it a wonderful experience for me and my family. Thank You again Susan Petty!!!" "Susan is very pleasant and always made sure that every detail was taken care of. She is very responsive to phone calls, emails, texts, etc. She always goes above and beyond any and all expectations. We have used Susan for the past four or five years and have established a great relationship with her." "Susan contacted me promptly when I called and was eager to help every step of the way. She was very informative on the processes involved in my transaction and showed me some alternative properties to look at to confirm that I was actually getting what I wanted before making an offer. We quickly proceeded through the negotiations and closed in less than a month's time. I have no reservations in recommending Susan as a quality realtor. She will work hard for you and keep you on track." "We challenged Susan with a search for a home for our daughter and her family who were relocating from out of state. Having never met them, she had to sort through what "Mom and Dad" thought the house should have versus what the kids wanted/needed. Using the internet tools available to her, Susan was able to help us narrow our search AND find the perfect home for them. They have relocated and are loving their new home." "My wife and I contacted Susan Petty with Re/Max of Orange Beach in regards to a property we saw on Zillow and she made herself readily available to us. After meeting in person and having a short conversation with her regarding the property, I could tell she was a great listener and had a lot of knowledge in real estate as well as the geographical areas she serves. She spoke of a few other properties that she had in mind that might fit our list of wants and needs, and worked within our busy schedules. From the time of our first meeting to present day, she has stayed in touch and kept us up to speed on all key points of the purchase. We have purchased 3 homes previous and have used other representatives but none that have matched Susan's expertise! The hunt for our Forever Home has been completed! I have NEVER experienced such a smooth process and been so well informed of each step along the way, that I still can't believe that we are in our new home! Susan went to bat for us and negotiated such a great deal! Her responsiveness, communication skills and follow-ups are impeccable! I am so grateful to have been able to meet and work with her to complete our journey of home ownership near the beach in Gulf Shores! If you are looking for a A+ Top Notch Realtor that is there throughout the process and even after the sale, you should call Susan Petty @ Re/Max of Orange Beach, you won't go wrong!" "When we decided to purchase a Vacation/Investment home in Orange Beach, we looked for a RE/MAX agent, and found Susan. ... and Susan has been AMAZING!!!!! As we were investigating the various condo options from our home in Illinois, Susan spent a great deal of time, educating us on the real estate market and helping us narrow down our condo choices. Then, when we finally made the trip to Orange Beach, Susan dedicated several days to us, as we visited (and re-visited) so many buildings. When we were ready to write our offer, Susan coached us through the process, and helped us negotiate. She also recommended Home Inspectors, Contractors, and Lenders, who all proved to be amazing. If you're looking for property in the Gulf Shores / Orange Beach area, I recommend Susan Petty. She's professional, knowledgeable, and fun!!" "Susan was a delight to work with. She was super responsive and offered great assistance throughout the sale. She is extremely knowledgeable and experienced." "Susan was the best Agent I've ever worked with and I have bought and sold many times in the past 20 plus years. She truly cares about her clients and goes over and beyond to help. She is professional and on top of her business. A wonderful person as well." "Susan is a total professional, and thoroughly knowledgeable about all aspects of the Real Estate business. But, more importantly to me, she has common sense and a HUGE work ethic. From the day I signed contract papers with her; the ball started rolling. Necessary repairs and cleanup for my house was completed in 3 days. When the "For Sale" sign was placed in the yard; within 3 days I had an acceptable offer on the house. When my house was shown, Susan called me each evening to review comments prospective buyers had made. I have sold 3 homes; but NEVER BEFORE had the service I received from Susan. She is caring and sincere; qualities often lacking in the business world. She is way more than my Real Estate Agent; She is my FRIEND." "We can't thank our friends, JC and Judi enough for recommending Susan Petty to us. She worked with us for three years while we ran hot and cold about purchasing our beach condo. She stayed in touch and kept her eyes and ears opened to find us exactly what we wanted." "My sister and I had the responsibility of selling our parents home of 25+years. Our experience working with Susan was a blessing to us! She was so knowledgeable and professional in all aspects of the listing and selling of our home. We had every confidence in her ability to walk us through the very emotional process. Her responses to my calls and questions were immediate and we valued all of her guidance and advise. We would without any reservation recommend her to anyone trying to sell or purchase a house." "We used Susan to help us find our condo in Gulf Shores. Susan came highly recommended from a friend that purchased a condo last year. As homebuilders we had very specific things that we were looking for. We met with Susan and explained our needs and wants to her she assured us that she would find what we were looking for. Susan tirelessly kept sending us listing after listing until we were satisfied. I am happy to say that we purchased our dream 2nd home the end of September. We HIGHLY RECOMMEND Susan. She worked to make the process flawless. With us being out of town she was our go to for all our needs. You will not find a better Realtor in the area." "I recently purchased a third property through Susan in Gulf Shores. Susan was recommended to me through a friend approximately 10 years ago when I chose to look for and purchase a vacation property. Susan had my best interests at heart in all aspects of the purchase and was so energetic in both viewing properties and sending prospective properties to view via email. Susan has a wonderful vivacious, friendly and charming personality while being assertive in protecting my interests even when small issues arose in the process. I have enjoyed working with Susan so much that I purchased two additional properties through her. Susan is extremely conscientious in returning emails and the myriad of other coordinating details involved in the purchase process. She has been a Realtor and resided in the area for years now with a large network of contacts and because of her personality works so well with others when negotiating or coordinating is required. It truly has been a pleasure working with Susan over the years. I could not provide a higher recommendation than Susan for anyone interested in a home or investment property purchase in the Gulf Shores area." "We have had two real estate transactions with Susan Petty and our son has had two transactions with her also. She was very professional, knowledgeable, efficient and ethical in all aspects in our dealings with her. We have recommended her to our friends as the best real estate agent we have ever had and will not hesitate to recommend her in the future." "Thanks for your efforts and interest with my property search. You were thorough, knowledgeable, competent, considerate & helpful in every way." "We lived in another state at the time and we couldn't have asked for more more from anyone. She listens. Seems like we have been friends forever." "Susan is an awesome Realtor and we would definitely use her again." "I live in North Carolina and feel so fortunate to have someone like Susan looking out for me. Her honesty and eagerness to help is making this real estate experience a true pleasure." "Susan was truly God sent for us. She was able to handle our whole transaction without us being there. We didn't fret over anything. Susan was on top of it all. Truly a blessing to work with her. We can't thank her enough for everything." "Susan was very informed of the area, extremely personable and was honest. She is a pleasure to work with." "We have purchased 3 condos with Susan Petty as our realtor. She has become a part of our family. From the 1st time we met Susan we completely trusted her. She has an amazing personality. She is not pushy and always looked out for our best interest." "Her love for her work shows. Lifelong friend with exceptional real estate experience." "Enthusiasm, kindness and knowledge. I could trust and rely on her." "Persistence. Always went above and beyond. Susan Petty has always been great to work with!" "Susan, you give a nice shine to the Real Estate Profession. Your dedication without regard to the monetary outcome is apparent. We are confident anyone who would use your service will quickly realize what we say here. No doubt, this industry could use more people like you. Thanks for being present!" "I wish to acknowledge Susan Petty as an outstanding Real Estate Salesperson. During the past two and one half years, Susan has been our agent for two sales and one purchase. She was always polite, courteous and prepared for the task at hand. Her astute knowledge of the market was a great asset in helping my wife and I to find property that met our requirements. Anyone in the Gulf Coast area would be remiss if they did not call Susan for their real estate needs." "We want to let you know how much of an asset you have been in our purchase of all three of our condos in the Gulf Shores area. Not only have you become a great friend, but also our eyes and ears in Alabama since we live in the Atlanta area. You made sure to only show us units based on our requirements which saved us a lot of time and money in the process." "This will serve to provide an informative testimony in our search for real estate in the Orange Beach/Gulf Shores area. Being Michiganders and not knowing the area, Susan Petty, after several years of diligent searching, found, negotiated the closing and provided the legal data for a most successful closing. Penny being experienced and very active in real estate in the Harbor Springs, MI resort area was very impressed as she [Susan Petty] handled everything in our absence in a very professional manner." "We were recommended to Susan and were very delighted with the warm reception we received and the thorough presentations she made us regarding properties we were interested in."